Advice and Protection from professionals. There's nothing quite like the feeling of getting on a motorcycle, hitting the open road, and just spending the day riding and sightseeing, either by yourself or with your friends. While cars may be the mainstream option, there's a certain charm about a motorbike which a car just can't match. If you are new to motorcycles and are looking to buy your first one, this is the post for you. Bill Rigdon has put together some helpful information on what to look for, and how to get the right bike for you. Many people new to riding have no idea about the balance and handling required to ride safely. Riding lessons are not only a great way to learn how to actually ride a bike but teach you what your bike needs to get you around, such as weight needed to turn, etc. 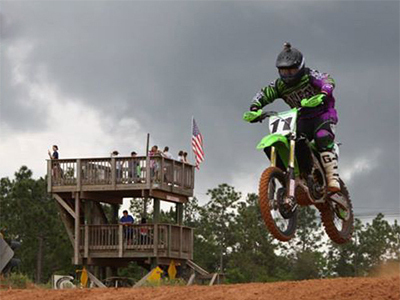 Knowing this will help you know what to look for when testing out bikes. While you're there, speak with other riders and the instructors and get their advice and experience. It can be tempting to spend all of your saved money on the most powerful or fancy and nice looking bike you can get. Instead, consider your real-world needs and focus on getting the best suitable bike. 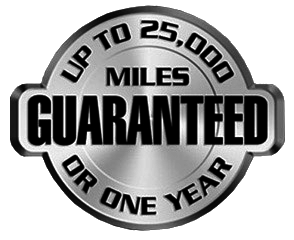 The best thing to do when spending money on a vehicle is to get the best suited one for your needs. If you have additional funds left over, a good use would be to personalize it with decals or put towards safety gear. Online research will be your strongest tool when comparing and learning more about different bike makes and models. Check out online reviews, manufacturer sites, and even blogs and chat boards. If possible, join a few user groups and speak with the members to get their advice as connecting with riders can be the best way to get real-world advice and not just comparison charts. When it comes time to give your new bike maintenance, use only the best engine lubricants for the job. 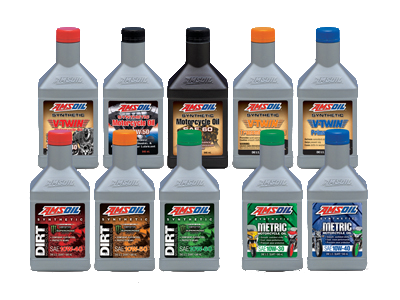 Speak with Bill Rigdon AMSOIL Dealer at (503) 329-9004 and find out which are the best products for your needs. If you prefer, the online store has more information about the engine oils available. Just like cars, spending money doesn't stop once you have the keys in your hand. Speak with your local mechanic about the types of bikes they see often, and which models are the easiest and cheapest to repair. Of course, safety isn't all about your own accessories. When personalizing your bike, consider bright and reflective decals and stickers which can help to make you more visible on the road. Nobody wants to think that their insurance company dictates the type of vehicle they can buy, however, it's important to make sure that you can afford to actually ride the bike you are considering buying. Speak with them about any engine or power limitations thresholds used to determine the price of coverage. Of course, all of this means nothing if you can't actually ride the bike! Once you've narrowed it down, spend a good amount of time trying out each bike and take note of subtle differences between bikes, especially when it comes to weight distribution and how much effort is needed to turn. Remember that doesn't matter if you are looking at the bike of your dreams - if you can't ride it, you can't ride it! Just like all vehicles, a motorcycle will require regular ongoing maintenance. And just like all vehicles, your motorbike can only perform as well as the products you put in it. Speak with Bill Rigdon AMSOIL Dealerat(503) 329-9004and ask about which AMSOIL motorcycle engine lubricant is best suited to your needs. If you have an idea of what you're after, check out the online storefor more information or to make an order. Advanced multi-functional formula for both domestic and foreign motorcycles. Excellent in air-cooled motorcycle engines due to high heat resistance. Whether riding aggressively, cruising or in stop-and-go traffic, AMSOIL 10W-30 Synthetic Metric Motorcycle Oil delivers the benefits most important to riders. AMSOIL Synthetic V-Twin Motorcycle Oil is a premium oil designed for those who demand the absolute best lubrication for their motorcycles. AMSOIL-exclusive advanced chemistry provides outstanding engine reliability for worry-free operation under severe conditions.